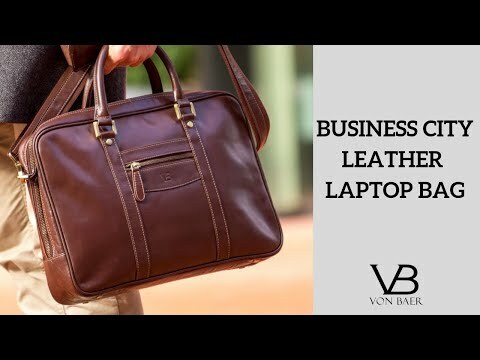 The Business City leather laptop bag is made from premium full-grain buffalo leather and is available in black and solid brown. Its size makes the bag suitable for both business and casual use, with a fine balance between capacity and mobility. The bag has been carefully designed in dimensions that make it an ideal size to fit a wide range of modern laptops and mobile devices.